As we finally climb out of the recent financial crisis many knowledge intensive organisations, as they plan for the future, are considering how their people can be more effective. There is much debate about 'the future of work' and talk of 'new work spaces' and 'innovative environments' and there are some great examples of how these can be effective but also mistakes have been made in the recent past in the name of work place productivity and we should ensure we learn from these. 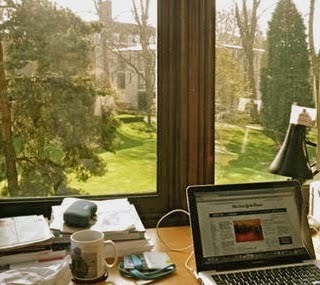 In Dec 2013 the Journal of Environmental Psychology published a paper, 'Workspace satisfaction: The privacy-communication trade-off in open-plan offices', in their conclusions they said; 'Distraction by noise and loss of privacy were identified as the major causes of workspace dissatisfaction in open-plan office layouts' and, 'Our results categorically contradict the industry-accepted wisdom that open-plan layout enhances communication between colleagues and improves occupants’ overall work environmental satisfaction'. So how and where people work is a key part of the formula for success and satisfaction. However, how we interact with both colleagues and the world is changing and much of this change has been brought about by the Web and the myriad of applications which have been developed on it. 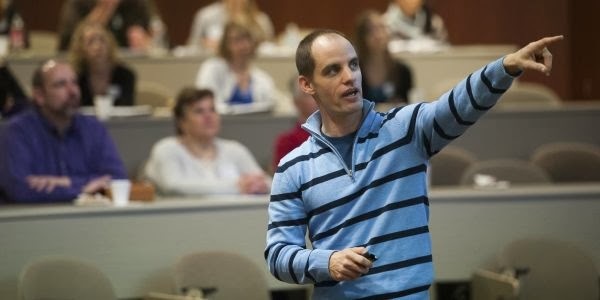 In Jan 2007 Dr. Michael Wesch, a Digital Ethnographer, uploaded a YouTube video which showed us how the way in which we could work together had radically changed as a result of new technologies associated with the Web. At the end of the video Michael said; " We'll need to rethink a few things", and then he listed them: copyright, authorship, identity, ethics, aesthetics, rhetoric, governance, privacy, commerce, love, family, ourselves; we are still grappling with many of these today. We live in a world of blogs, tweets, posts, on-line collaborations and near instant communication channels. We can store all our information in 'the cloud' and can access it anywhere on any communications device. We have access to the sum of [almost] all human knowledge at the click of a mouse or touch of a fingertip. This world in which we work today is completely different to the one which existed just a generation ago in terms of how we can communicate, collaborate and innovate and we must ensure, through the design of the 'work place', that we allow people to maximise their contribution to an organisation. Of course the 'place of work' can and should be, much more flexible today. Just last week I dropped into a coffee bar and fueled by coffee and a muffin I wrote an article for my blog entitled 'Knowledge Nuggets, Chunking and Twitter', which I then posted on twitter and within two minutes it had been re-tweeted several times, so something I had finished writing just minutes before was being read by hundreds of people - the power of the Web and our modern communication networks. Although the coffee bar was in one of the best libraries in the country I had not needed physical access to any books or research papers, everything I needed was on-line. However what I did need was the right atmosphere, the right 'work place'. In 2014 the only 'technology' I need to work effectively is a portable computer, smartphone and wireless connection to the Web, but even just a few decades ago people attempting to imagine what it would be like to work in the future could not foresee just how much things would change. 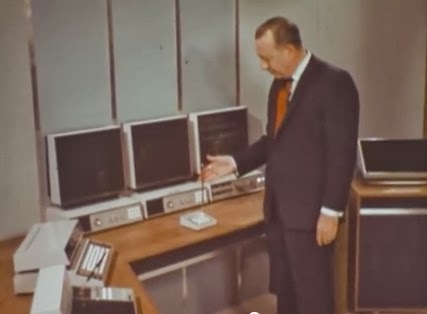 In 1967 when the anchor of the CBS Evening News, Walter Cronkite, introduced a programme on the future 'home office', he showed a mockup of a collection of computers and monitors called the 'computerised communications console'. He was trying to show that where and how we work could change radically as a result of technologies that would be available in the 21st Century. Although this vision of the future looks a little funny today, that is only because communications technologies and our adoption of them, has moved very quickly since the introduction of the Web in 1991. 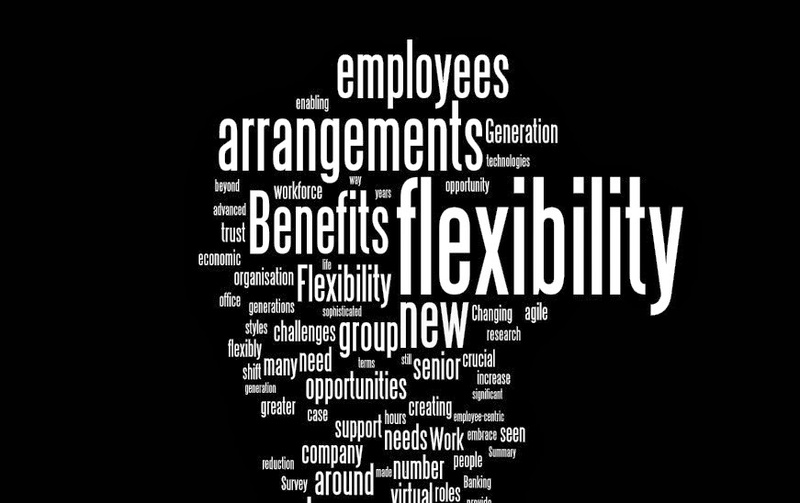 'The need for flexible working is growing. The changing context of work is creating new challenges and opportunities that companies can only meet with the sort of agility that flexible working arrangements provide'. The report lists 12 tangible benefits of flexible working; the first six address the changing business context brought about by both advanced technology and rapid globalisation. The second six address the changing employee context which exists as a result of what they call new societal values and changing demographics. 1. Increased employee productivity, effective virtual teams, business continuity, reduced business travel, agile infrastructure. 2. Increased engagement, greater retention, more senior women, the attraction and retention of senior executives, flexible retirement, and generational working styles. However 'working flexibly' is more than 'flexible working' as defined in this paper  and includes the ability to work in ad-hoc locations, if this benefits both the business and the individual. Working with ever increasing complexity with colleagues often based all over the world, with ages spanning five decades and more, requires us to rethink the 'work place' and to think of it as an ecosystem. How we interact with each other and with our working environment is the key to organisational efficiency and people satisfaction. It was our conclusion that if people feel supported and valued, they have an appropriate and flexible management structure and they are provided with the tools and environment they need, then they will generally be successful. A working environment today is not just a desk or an office, it is all of the seven elements above and if ALL are optimised then the result will be highly productive people who report a high level of satisfaction, a real win-win for any organisation.